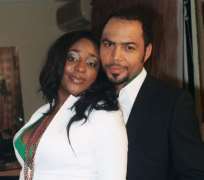 Top Nollywood stars like Ini Edo, Ramsey Nouah, Monalisa Chinda have been featured in Rukky Sanda's new flick, 'Keeping My Man', which is set for premiere next week Friday in Lagos. The trio, along with other actors, were contracted to act in the movie. For Ramsey, who has been a bit scarce in films being released recently, it is another opportunity to be on the big screen and make his teeming fans catch a glimpse of his acting prowess again, after being given a run for his money by fresh blood that stormed the industry, which made producers to seek alternative hands for his then 'usual' movie roles. Come Friday, September 27, 2013, all roads lead to the Silverbird Cinemas in Lagos for paparazzis to get busy with shots of celebs that will storm the premiere.